Home Sweet Home is an artistic interpretation of Swedish and international design icons and their stylistic ideals. In an unpretentious but elegant mixture of high and low, affordable and exclusive, the exhibition advocates inspiration rather than consumption, with an eye on a sustainable future. 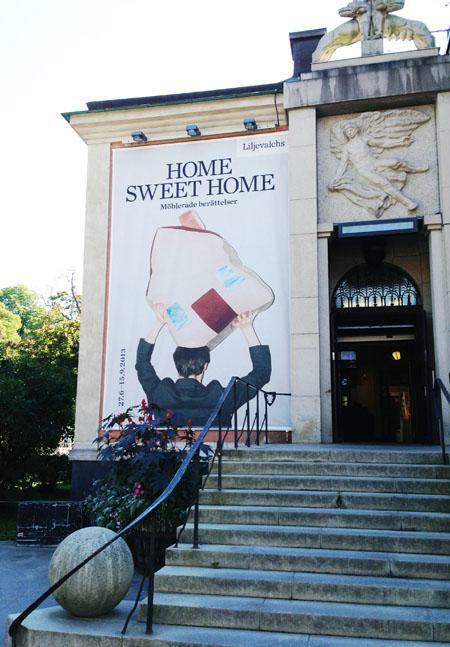 Home Sweet Home has been produced by the design and art personalities Annica Kvint, Cilla Ramnek, Karin Södergren and Cathrine von Hausswolff. 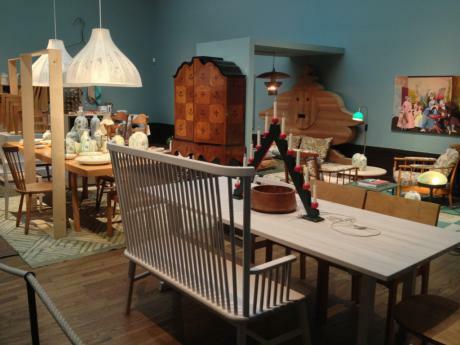 They have transformed Liljevalchs konsthall into a home – or perhaps more than one – with 12 rooms containing passionate compositions of furniture, textiles, lighting, crafts, woodwork, art and not least that which, engaging your imagination, you can do yourself. Meet the design icons and inspirers! In the dining room the audience will encounter styles and concepts from the late-19th century British Arts & Crafts movement and William Morris, and the Swede Karin Larsson. The Salon will be taken over by Elsie de Wolfe’s glamorous American 1920s and 1930s and Syrie Maugham’s British white elegance. There are two kitchens – an Italian one with Piero Fornasetti and his Roman and Greek influences including a contribution by the versatile modernist Giò Ponti, a Nordic one with Carl Malmsten’s Swedish Grace and educational ambitions, together with the landscape-rooted Finnish giants Alvar and Aino Aalto as well as NK department store’s prominent furniture designer Kerstin Hörlin-Holmquist. There are also two living rooms – one with Estrid Ericson’s and Josef Frank’s sophisticated wealth of detail for Svenskt Tenn, the other inspired by the Bauhaus school’s pioneering modernists. In the bedroom Elsa Gullberg’s combination of the domestic crafts tradition and industrial production will encounter Wiener Werkstätte’s renewal of the applied arts. 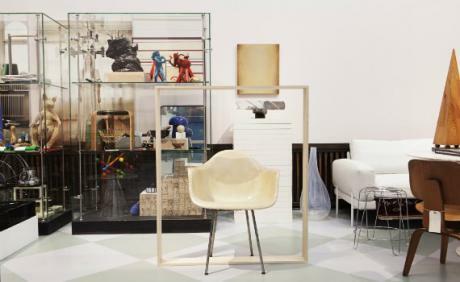 The general purpose room features Lena Larsson’s everyday-friendly family environment from the 1950s and 1960s, as well as her predecessor, the Futurum firm – Marie Louise Idestam-Blomberg and Margareta Köhler – and textiles’ Astrid Sampe. And in the bathroom, French Charlotte Perriand’s steel-tube modernism meets the crafts-inspired functionalist Bruno Mathsson. The style of the studio is from Charles and Ray Eames’ practical American design, the Italian Achille Castiglioni’s industrial design and the Finnish-American Eero Saarinen’s alternation between organic and rational expressions. Last but not least, the 1980s are represented by a spatial still life in the spirit of the Italian Memphis group and in our café there is a portrait of the American interior design magazine Nest.